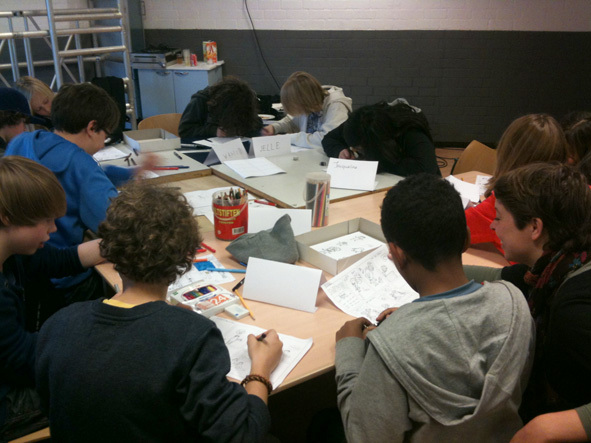 Accompanying the comic drawing contest me and Edith-made-it gave a workshop at youth center De Valk in Amsterdam-Noord. 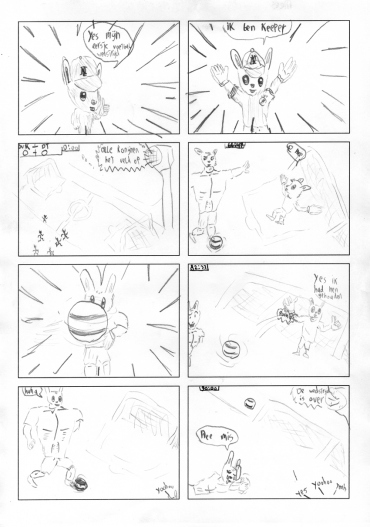 The workshop began with an exercise: to finish a little comic strip. 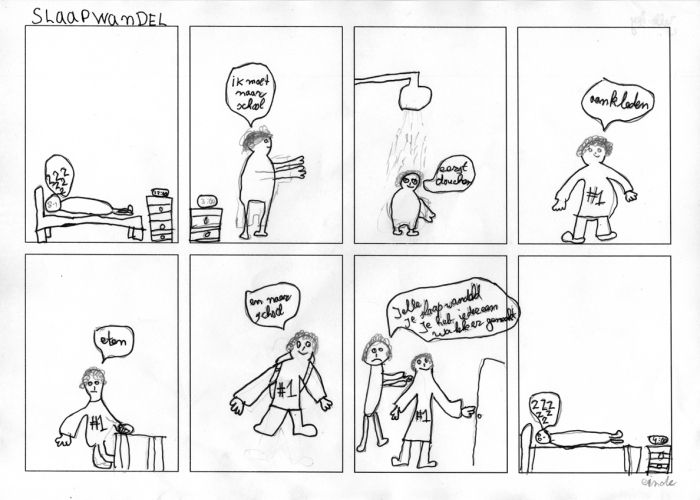 Each child draws a picture, passes it to the child next to him/ her and then to a third one, that finishes the comic. Below some examples and some pictures of the intensive labour that was going on! 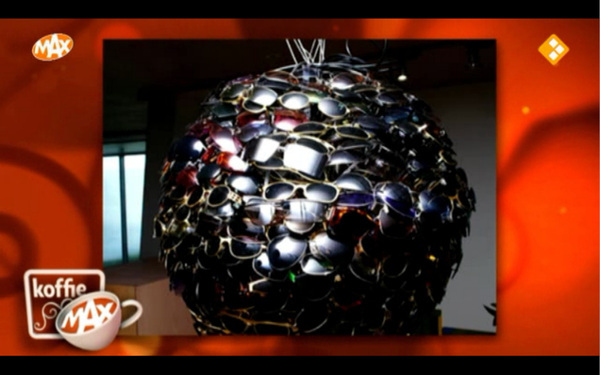 Summersphere, my lamp made of sunglasses was shown in a small feature on Dutch television! Check the video below to see an interview with Pet van de Luijtgaarden. Ah well… I thought I would feel like a fish out of water when opening the answers to my survey. But this couldn’t have been further from the truth! In two weeks time up to 42 people filled in my questionnaire. Those were people that know me personally, but also people that I don’t even know that well: people who follow me through this blog, facebook, twitter or LinkedIn. Admittedly, when the first feedback came in, I had to swallow for a bit. When I studied at art academy, at times I felt so angry about the way feedback was given. One day during painting class Mr. Favorite Teacher told me quite frustrated that what I was doing was the “painting-by-numbers technique”: “What did I think I was doing? !” Steam came out of my ears! Even more so when one week later Mr. Favorite Teacher told me: “Fantastic! You know what you are? A true painter! ” I looked at the satisfied face of a man who thought he had managed to get this quality out of me by addressing the fighter in me. I have had so many discussions about this. Artists are so well at criticizing each other. Indeed, the fighter in me is awakened when I get negative criticism, but there has to be another way, right? Yes, I am naive, and okay, also an idealist. But besides that it has been proved that a competence oriented approach works best! It is more effective to approach people from a positive angle than constantly pointing out to them what is wrong. I’ve now become accustomed to occasionally getting it in the neck and I have learned to view feedback from a distance, to not take it personally, but to see it as an opportunity for progression. Phew! Prepared for the worst! And then it shows the people who filled out my list are all very nice! Occasionally there’s a critical note, but always with a positive tone. It has worked so refreshing, and enlightening, to be in touch with potential customers this way. What a pleasant people, those ‘fillers’ of mine! Prior to the survey, I posed the question: Will the people filling in the survey be most attracted to the work that is closest to my own handwriting? And the answer is yes! At the moment I’m working on building my new website. My own style is getting clearer every day. And what happened? The interviewees appreciate that style the most! On average, the interviewees purchase a creative/ artistic product between 1 and 4 times a year (44%). My work is appreciated with a 7 (out of 10) by 43% of the interviewees, and with an 8 by 36%. 60% Feels most attracted to the illustrations in which I combine line art with color planes (in other words the most recent illustrations!). 48% Would also want to buy these illustrations as art prints. The remainder opts for other work. 10% Does not feel attracted to my work (“not my taste”). When one could choose an application of my work, the print is most popular (54%), followed by the postcard (50%) and the t-shirt (31%). 38.5% Of the interviewees would buy an A5 art print for 15 Euro. 35% Would Buy an A4 art print for 35 Euro. 20% An A3 art print for 50 Euro. Good suggestions I got for applications of my work: duvet, pillows, iphone cover, shopping bag, underwear, potholder, towel, collaborating with an animator. Of the people who would like to buy my artwork as a print, 44% would hang the print in the living room, 33% would give it to someone as a gift and 26% would hang it in the nursery. Besides that, the workplace (through art library) and the toilet (whoehaha) were mentioned as possible spots. What follows now (and I am going to take some more time for this one), is researching potential clients: conversations with publishers, image editors, graphic designers etc. 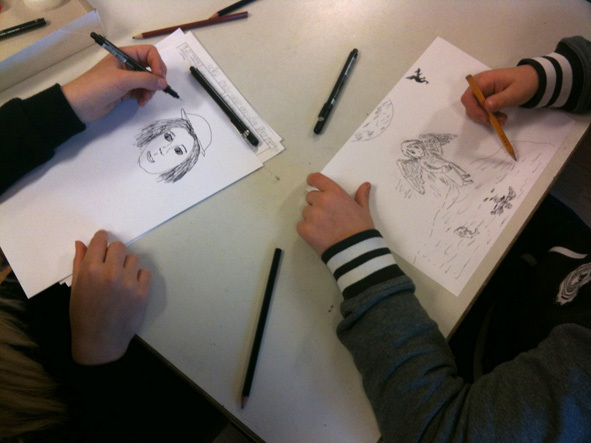 Website Voor de Kunstenaar: http://www.voordekunstenaar.nl/.